Now, if you know me or have worked with me, I am a feminist and a strong supporter for women. And we live in a society, still, where women are looked down upon, still fighting for equal rights as men, and male dominated industries. And while we are all entitled to our own opinion and I respect that, I left the In Good Company Conference believing more than ever, that women are the future. It is only a matter of time. I also left the conference solidifying my passion for working with brands and companies who support my visions. 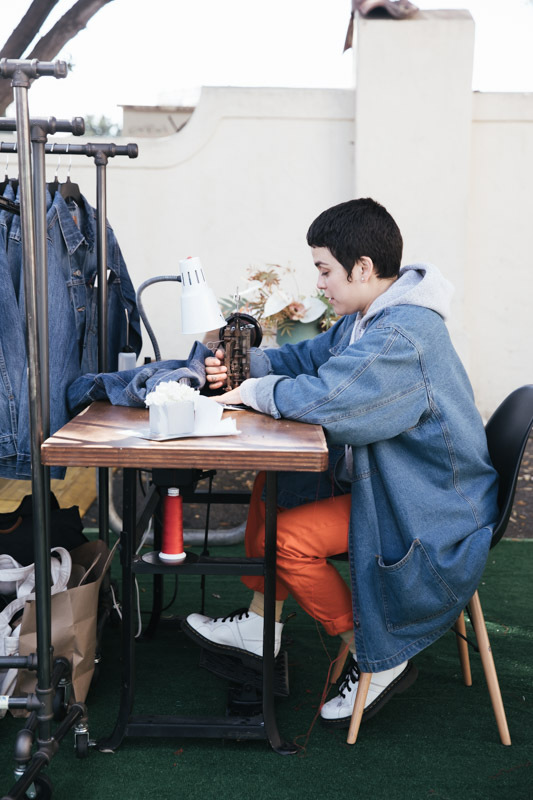 Levis partnered up in stitching names onto denim jackets to all the speakers and attendees who participated in the conference. While it may seem hard to believe, there are companies, still, who do not support people of all genders, race, and size. Levis is NOT one of those companies. Levis makes it loud and clear that they are here to support everyone. Thank you Levis for making this experience memorable.